HP's "Paro" follows a young girl with a passion for storytelling as she realizes her dreams. Contributed by Nate Hurst, Chief Sustainability and Social Impact Officer, HP Inc. In the last several months, the next generation of leaders have called for change in an unprecedented wave. They have used their voices to demand attention and change from the very highest echelons of power — and many of those voices have been female. Today, as we celebrate International Women’s Day, a day dedicated to recognizing the social, economic, cultural, and political achievements of women around the world, HP is joining these voices in a call to action for accelerating gender equality. At HP, our goal is to amplify these voices and catalyze movements to create a future that is sustainable, inclusive, just, and collaborative — a future where every dream can thrive. Great stories inspire action and help us imagine a better world. And on International’s Women’s Day, we are imagining a world where all dreams are possible with “Paro." The short, powerful film follows a young girl’s journey as she discovers her passion for storytelling and finds the courage to pursue her dreams. It’s also a story about the power of a mentor — in this case a thoughtful teacher — as well as the role technology plays in helping her share Paro’s stories with the world. Shot in Kolkata, India, the film was produced by HP Studios. Paro was conceived to spark discussion about following your dreams and reinventing your story, no matter your background or where you are in the world. Alongside the film, HP is introducing a range of social impact programs, rooted in the belief that technology can be a democratizing force in telling and sharing stories that matter. Today HP and Girl Rising are announcing a community story-driven challenge designed to elevate voices around the world advocating for equality. The challenge – to share a personal story using technology – will run from April through June 2018, with winners announced on International Day of the Girl Child on October 11. Winners will receive micro-grants and access to mentors via HP and Girl Rising, enabling them to discover and define their own paths. Producing and distributing “Paro” is just one of the ways HP is committed to driving meaningful conversations and social change. We are also launching “Stories of Advocacy,” a partnership with Women Deliver and its Young Leaders program leading up to the 2019 Women Deliver conference. Through this partnership, HP will provide support and technology to launch the young leaders’ advocacy platforms and spread change beyond their communities. Additionally, HP is partnering with other organizations to enable young female leaders to drive lasting change in the world. In partnership with Disney, HP co-sponsored the “Warriors Who Code Challenge,” an all-day coding challenge with Black Girls Code. HP gathered prominent female voices in tech and filmmaking to inspire the next generation of leaders and celebrate the premiere of the film A Wrinkle in Time. 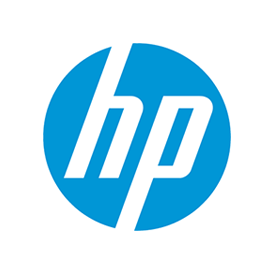 HP is also teaming with NFL retiree Wade Davis, Gabrielle Union, the Ms. Foundation and Amy Poehler’s Smart Girls for special screenings of the film during International Women’s Week in New York City. Today, we are not only celebrating women who drive us forward, we’re empowering the next generation of female leaders. Join us in celebrating women's achievements. Then, go further with us. Let us raise the volume on and play an active role in accelerating gender equality. Let’s create fertile ground for all dreams.